Middle Atlantic Products is one of the leading manufacturers of exceptional protection and support products for the commercial AV, data or structured cabling, security, broadcast, residential entertainment, music performance and recording studio markets. Their exclusive products including racks and enclosure, studio furniture, cable management, Wiremold products, thermal management, rack accessories, technical furniture, lighting or power products are designed to simplify the job. They even deliver the products to the installation sites and customer located in any nearby regions of California, New Jersey, and Illinois. They hold ISO 9001 and ISO 14001 registration for quality management system and environmental management system. There are currently 0 consumer reviews about Middle Atlantic Products available. Share your review. Please take a note that you are about to post a public review about Middle Atlantic Products corporate office on CorporateOffice.com. This review will be public, so please do not post any of your personal information on this website. 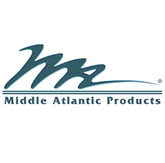 If you would like to contact the corporate offices of Middle Atlantic Products, please use their contact information such as their phone number, website, and address listed above to contact them. However, sometimes staff from Middle Atlantic Products headquarters do read the reviews on this website.